Details: Classic 200s "coke bottle" wheels now in one piece in 15 and 17 inch. 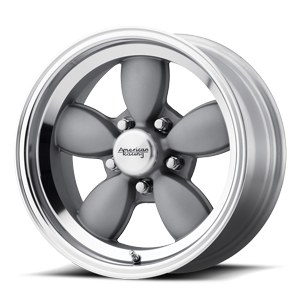 Grey center polished outer rim complete with center cap and chromed lugs. One piece manufacture means GREAT VALUE ,available in popular sizes and 5 lug bolt patterns.This wheel is usually in stock for same day shipping.